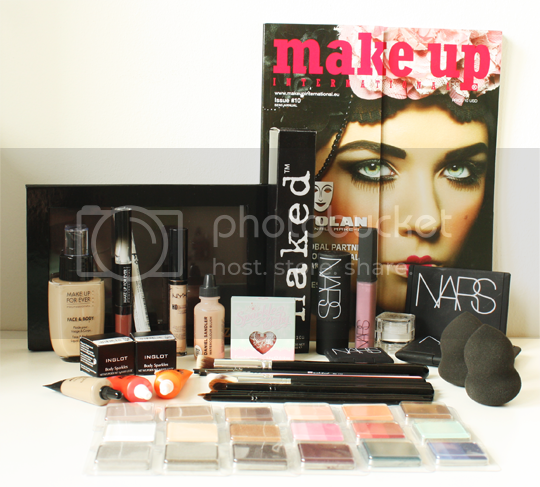 Last IMATS London 2013 post, I promise! But well, I can’t not show you all my new pretty things, right? Feast your eyes on these bad boys! First up, 18 new Inglot eyeshadows. These are my absolute favourite, I’ve never come across a dud one and they are such a bargain. Annoyingly, I realised after I popped them in my new Z palette that I went and bought one I already had… moron. 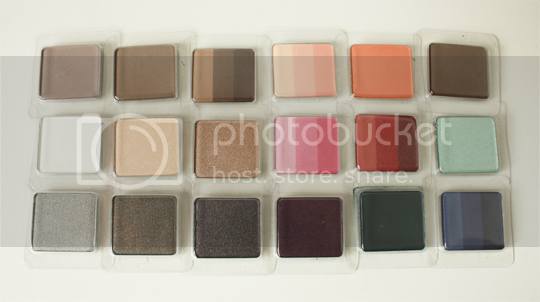 I’m going to have to buy another one to replace it, but as soon as I’ve done that I’ll definitely be doing an updated Inglot eyeshadow collection post to show you these more closely (for a current one, check out this post). Brushezzzz!1!! !1 I didn’t go crazy with brushes this year (which makes a nice change! 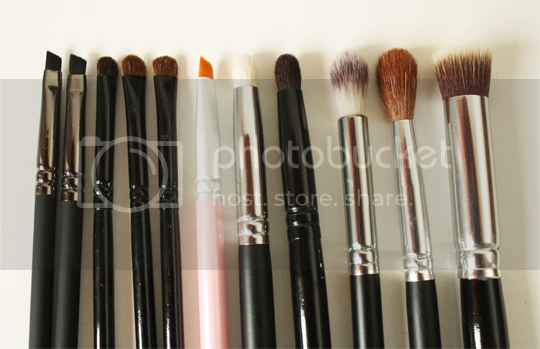 ), and just repurchased a few favourites from Crown Brush – more little smudging brushes for smoky eyeliner, a back-up of the brush I use to clean around the edges of my nails after painting, and another of my all-time favourite blending brushes along with a few new ones. I also grabbed two of the same eyebrow brushes from the Royal & Langickel [R]evolution range (post here) ’cause they felt really dense and firm without being scratchy, so they should be perfect for that. Also, not picture here but in the photo at the top of the post, two Beauty Blender-type sponges from Love Makeup ’cause I’ve been getting on really well with these since I first tried them at the United Makeup Artists Expo in April. Next up, this could potentially be my star purchase. I’ve been toying with the idea of buying the Naked Cosmetics Ivory pigment stack for literally years, and I’ve finally done it. When I wandered over to the stand and was told that they were going for a much cheaper price than they have done at previous IMATS shows, that completely sealed the deal and they were one of the first things I bought on Saturday morning. 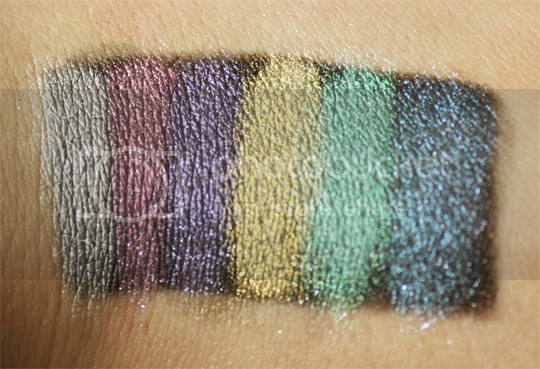 So, so SO stoked to have these at last – look at their insane duochrome in the swatches above! Squeeeal, so pretty. I also picked up their eyeshadow base, just to try it out. 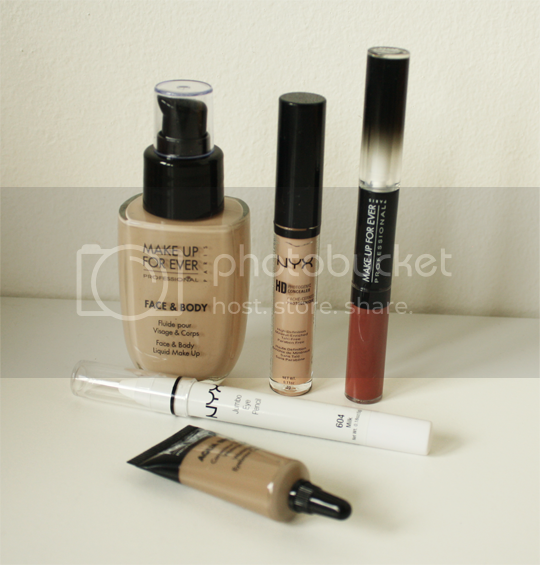 Here’s a few bits from Make Up For Ever and NYX. I did want a lot of Star Powders, Aqua Creams and things from MUFE but I had already bought a lot of eye stuff so tried to be sensible. I picked up the Face and Body foundation in shade 38, Aqua Brow in shade 10 (which I am REALLY excited about) and an Aqua Rouge in shade 2. These are super waterproof, it took a lot of work to get the swatch off my hand! I didn’t get a good look at the NYX stand at all over the weekend as the queue was insane – there was a whopping 45 minute wait. But if you knew what you wanted, you could just ask for it without having to queue so that’s what I did with the HD Concealer in C03 and the Jumbo Pencil in Milk. I actually had one of these years ago but sold it in a blog sale. Not entirely sure why, but at least I have another one now! 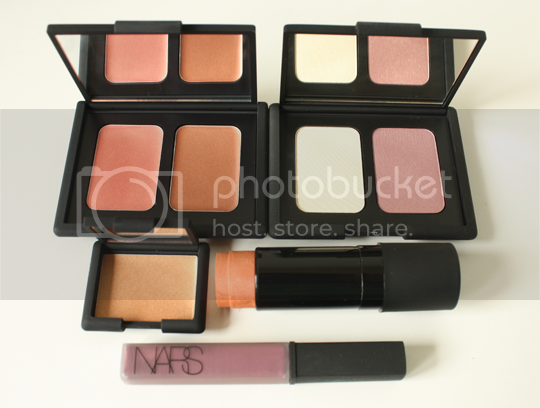 I’ve got to be completely honest, I never really had that much interest in NARS before and wasn’t that fussed about seeing them at IMATS since I assumed they wouldn’t be offering much of a discount. Well, I was quite wrong – they had a selection of products which they were offering for around 60% off. It would have been rude to say no, so I waltzed off with the pieces above. I’m still not entirely convinced by the Multiples or the cream eyeshadow, but I’m loving the powder blushes and the lipgloss. 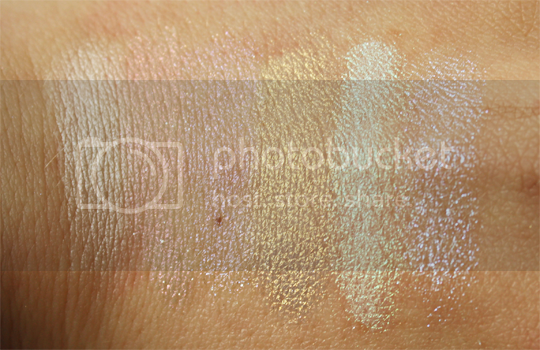 I probably should have mentioned these further up with the Inglot eyeshadows, but these little pots of sparkly goodness are Inglot Body Sparkles. I fully intend to use them on my eyes, though! 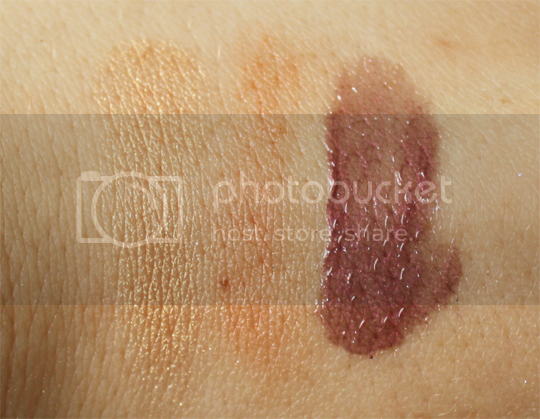 Having swatched them at home, number 53 (on the left, swatched on bare skin and over black) reminds me a lot of Illamasqua’s pure pigment in Static, but the particles are smaller. 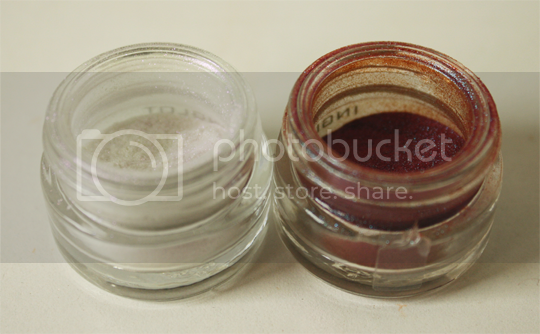 Number 71, on the right, is coming across very similar to Make Up Forever’s Star Powder in shade 955 but in real life it’s quite noticeably more purple. Last few little bits! 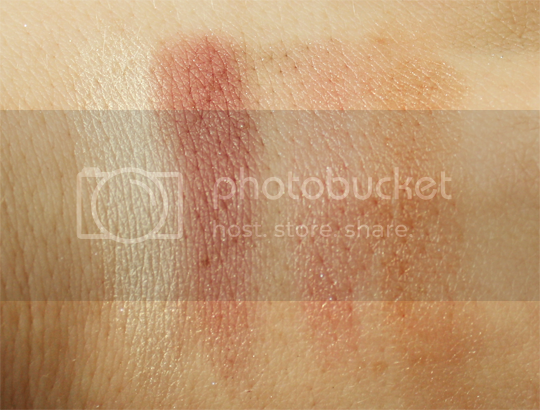 I’d heard that Daniel Sandler’s cult favourite watercolour blushes would be 20% off at Love Makeup, so I made a beeline for their stand with the shade Cherub in mind. Unfortunately it was sold out, but I still wanted to try one so I picked up Truth instead. I suspect it may work better as a highlighter than a blush, but it sure is gorgeous. 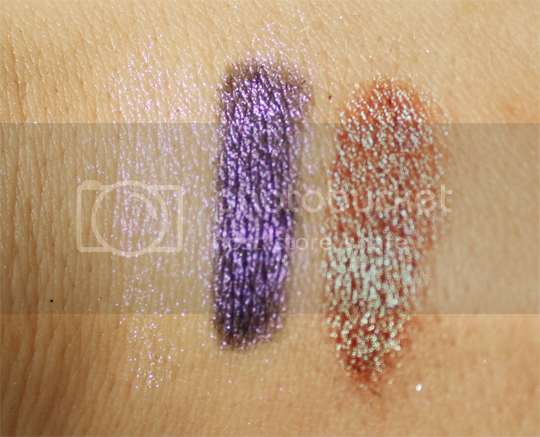 Also from Love Makeup I grabbed one of Sugarpill’s new Sparkle Baby eyeshadows in Kitten Parade – I have so many colours similar to this but hey, I’ll get use of out it and who could say no to that packaging or a name like Kitten Parade?! 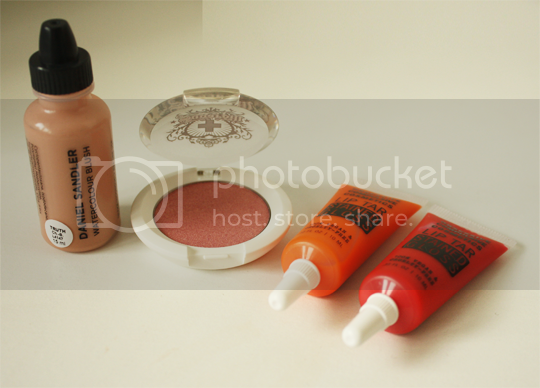 Lastly, I was hoping that OCC would have their new Stained Gloss Lip Tars with them and luckily they did – I settled on the terrifyingly orange Androgyne and the pinkish red Jealous. Briiight! Oh, and of course, the most recent issue of my favourite Make Up International magazine was swiftly picked up at Charles Fox. I love flicking through these for scores of beautiful and inspiring images. Bedtime reading sorted for a while! If you went to the show at the weekend, please do link me to your own posts as I’d love to have a nose at what you got. Also, please do let me know if there’s anything in particular here that you’d like to see a review on! That’s the plethora of IMATS posts over now, until next year. Normal service will resume on Saturday! OH MY WORD! 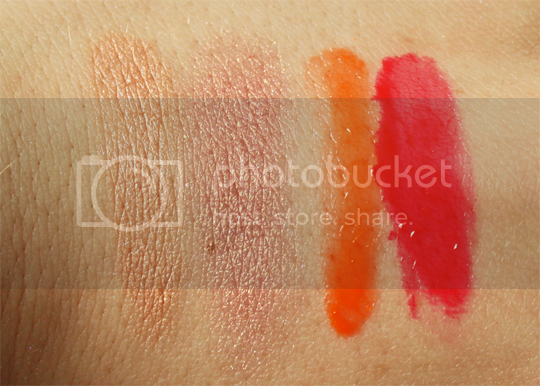 Where oh where can I get those Naked Cosmetics pigments? It’s my birthday today and I feel like I deserve them as my birthday present to myself?! (as well as the Nails Inc lucky dip happening tonight)… What a great haul, some fab products there, am deffo going to be going next year! 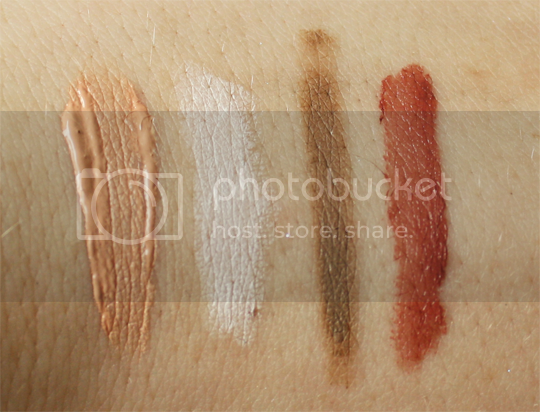 That Naked Cosmetics Ivory pigment stack looks amazing!